I’ve never been one for professional sports. I don’t know if it’s the toxic masculinity that I’ve never felt beholden to that is woven into the fabric of the pastimes, or if it’s instead my distaste for the veiled sycophantic jingoism that manifests as obsessive support, emotional and financial, for a team that owes allegiance to nothing more than your tax dollars. Whatever it is, I have a natural aversion to that particular brand of entertainment. I don’t watch ESPN. I don’t check scores. I don’t keep track of who is injured or what trades may happen. I didn’t even understand people’s exhaustion with Draft Kings and FanDuel until I saw ten minutes of a football game at my girlfriend’s parent’s house and was exposed to just how significant their advertising presence was. Along with all the other things that I don’t experience related to professional sports is gambling. 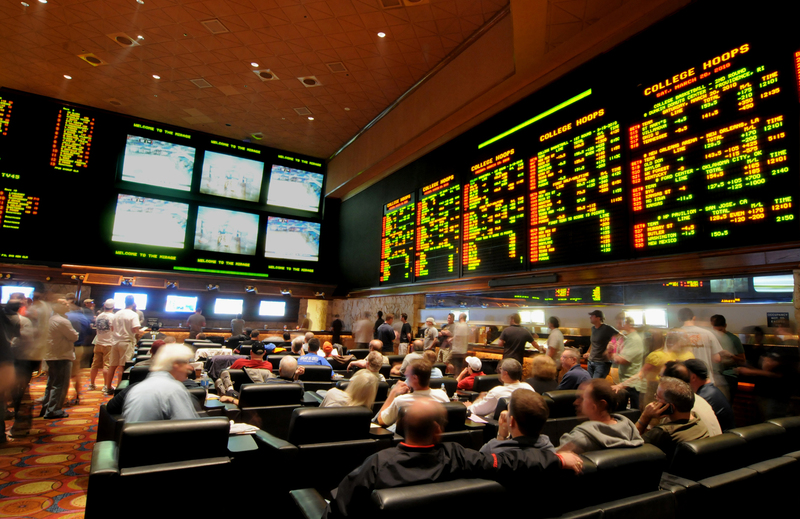 Of course, none of you reading this have ever gambled on sports games, because unless you live in Nevada or overseas, it would be illegal, so bear with me and just imagine it’s something you’ve done. Not having bet on games before, I’m unfamiliar with the emotional rollercoaster involved in the activity. Of course, I experience it in some capacity. After all, I bought $60 worth of Wingmate Rocs and Dragon Whisperers. While you could argue that speculation is gambling in its own right, it’s not quite the same. My hopes and dreams for Roc don’t live and die on one play of the game; there is no singular pointed moment in time that holds within it financial victory or ruin. So when we did a fantasy Pro Tour draft this time around and I found myself sweating the outcome of Finkel versus PVDDR, a match that would determine whether I got second place or fifth, it was a novel experience. I found myself unwilling to watch them play, a behavior I know for a fact I’ve wondered aloud at when I’ve seen others not watch an event they’re financially invested in. I just kept working on the newsletter in silence, peeking at Twitter every thirty seconds for updates. When Finkel was finally victorious and I was locked for second place, a thrilling sensation washed over me unlike anything I get when a spec target quintuples overnight. All in all, it was an exciting experience, and it will be made all the more sweeter when I only need to pay four percent of a $400 dinner bill, rather than 14 percent. Oh, also, Pro Tour Battle for Zendikar happened this weekend. Right. That’s probably what you would prefer to read about. 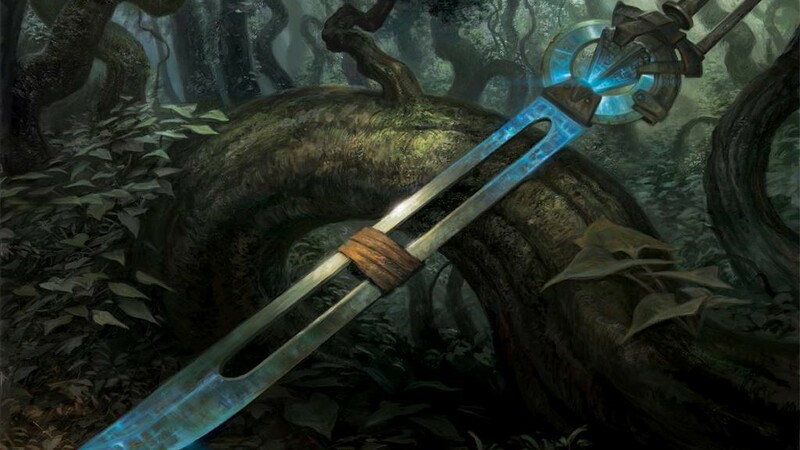 Last weekend, we got our first look at the cards played from Battle for Zendikar in Standard and I was definitely surprised by the results. In order to make it more convenient for everyone I’ve created a table that inlcudes all cards found throughout the decks sorted by most played. I’ve even tracked the sideboard cards played, to show the direction that the format is taking. Abzan took down the Pro Tour, which is shocking to nobody. Key cards from the deck include Warden of the First Tree, Hangarback Walker, Den Protector, Anafenza, the Foremost, and Siege Rhino. Interestingly, even with a Pro Tour win I’m not sure how much Siege Rhino can gain throughout the rest of its Standard life. The Clash Pack printing has devastated the price of the card and I’m not sure if it is going to spike up a large amount simply due to the fact that there are so many other decks out there that aren’t playing Abzan colors, Pro Tour win aside. Hangarback Walker is the talk of the town, as usual, as noted by its second place listing among the most played cards of the Top 8. 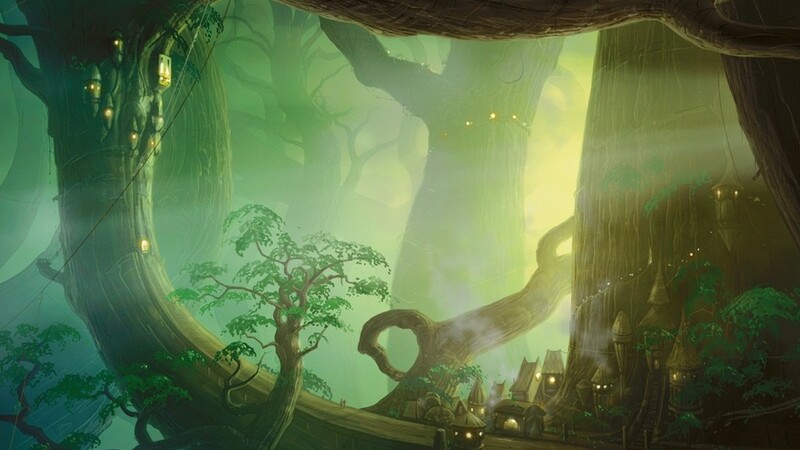 I’m sure further breakdowns of the Top 64 and beyond will continue to show the trend, but as we all knew Hangarback Walker is going to continue to shine in Standard due to the fact that it is the strongest colorless option (amongst three and four color decks) that players can choose to include because it does so well against the sorcery speed removal of the format. 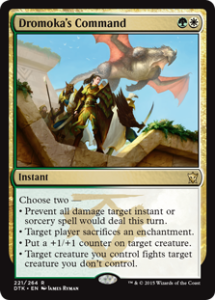 Which brings me to Silkwrap, one of the premier answers to Hangarback Walker that is left in the new Standard after Theros block has rotated out. 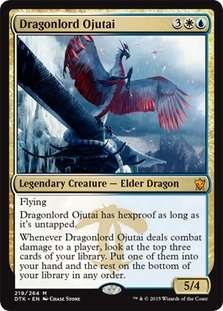 I’m not surprised that copies are bordering on $2 at this point, and keep in mind that it is in Dragons of Tarkir so its shelf life has a farther expiration than Khans and Fate Reforged. I don’t expect Silkwrap to go down in value (unless of course it gets the event deck / clash pack / whatever reprint) so pick up your copies now in order to deal with the Hangarback Walker threat that will be seen over the course of the winter. 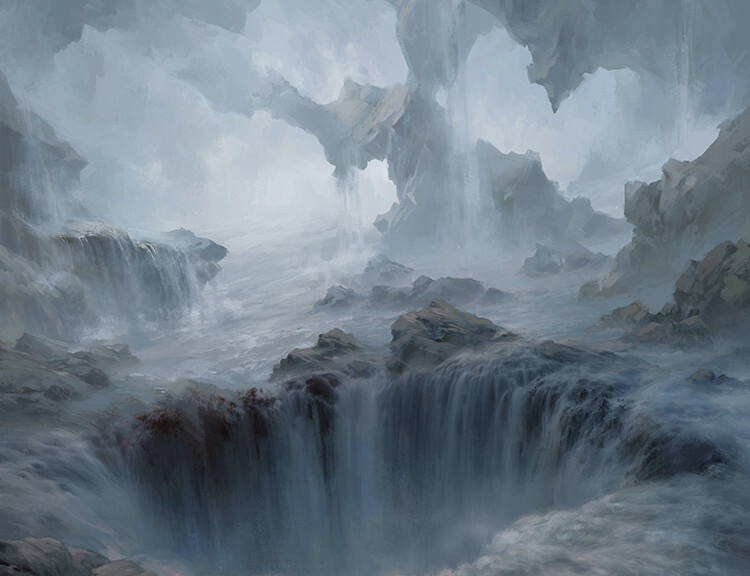 Of the most played cards in the Pro Tour Top 8 from BFZ, we have Prairie Stream, Canopy Vista, Sunken Hallow, Smoldering Marsh, and Shambling Vents making a splash in the decks. Outside of lands, the only cards from BFZ to see play in the maindeck of the top decks include Gideon, Ally of Zendikar, Dragonmaster Outcast, and Dispel – not a great showing of Battle for Zendikar since two out of those three cards are reprints. Based on these results, expect Gideon spike up to new highs and stay there for a while until the format becomes solved over time as players try and figure out how to make Ingest and Devoid work in Standard. I wouldn’t pick up extra copies of Dragonmaster Outcast since it is a reprint and will continue to drop in price as more BFZ packs are opened over the coming months. As we continue into the Standard season, I hope that more variety is introduced to the decks. I’m really excited to see what Battle for Zendikar can add to Standard, but it seems like the power level hasn’t quite been figured out yet. Cards like Oblivion Sower seem really powerful in a vacuum but I’m not sure if they are good enough for Standard yet based on the Pro Tour results. As we continue on through Standard there should be opportunity for other cards to shine, like sideboard inclusions Radiant Flames and Exert Influence. 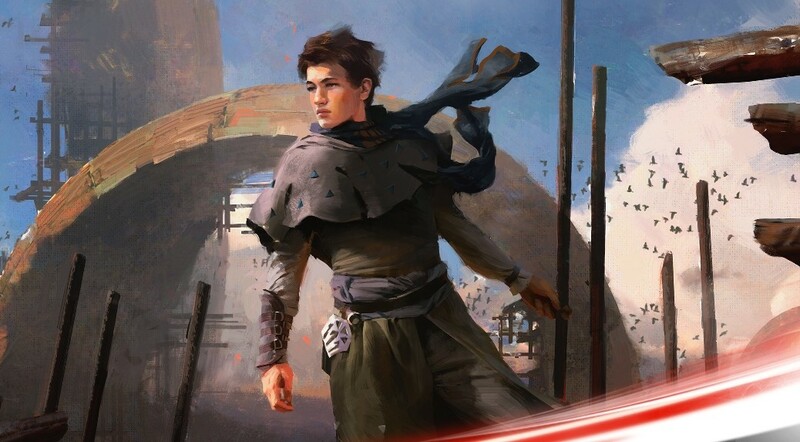 Until then however, I would expect aggro decks and Jeskai (whether splashing black or green) to be dominant forces at FNM as more and more players realize that yes, Jace, Vryn’s Prodigy (and his insane price) is not going away from Standard anytime soon, unfortunately.